The Chicago West Community Music Center is a miracle of personal intent. When arts programs started disappering from Chicago public schools due to budget cuts, founders Howard and Darlene Sandifer went into action. The result is a quality music school that teaches music and the business of music. They have top quality instructors in classical and contemporary music. These people are now supported by major donors both locally and nationally. 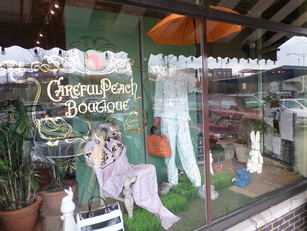 An established world class fashion designer located in the Oak Park Arts District is once again selling her clothing and accessories here in the community. This is a family owned store that has been in business more than 123 years. They are part office supply store, museum and art display. Many of the things here have an upscale note. It is also one of the few places around that has Chicago specific leases. Fine European gifts and housewares. Their buyer often brings back wonderful things from France. They also indulge in on site catering and wedding gifts. Welcome to Oak Parks first brewery and beer tasting room. This village was dry for more than 100 years. This changed as recently as the 70s. This place is like a celebration of that laws repeal. They also make their own soda pop. Hurry on in. 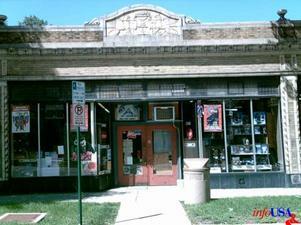 A old style comic book store that often serves as a hub for the local creative types. They get a large selection of new comics every Wednesday. They also have a massive back inventory. The CivicLab is a co-working space that brings together community organizers, educators, designers, makers, artists, and technologists to co-work, research, teach, build community and create tools. They offer affordable space to work, meet and plan. This place has European food, books & gifts and is found in the Oak Park Arts District. They also have outdoor seating so that you can watch the world go by bistro style. Video streaming to the internet and production services for entertainment and business. These are video services for your website, Facebook, DVD, Youtube, corporate meeting and more. THE ILLINOIS LABOR HISTORY SOCIETY SEEKS TO ENCOURAGE THE PRESERVATION AND STUDY OF LABOR HISTORY MATERIALS OF THE ILLINOIS REGION, AND TO AROUSE PUBLIC INTEREST IN THE PROFOUND SIGNIFICANCE OF THE PAST TO THE PRESENT. The Book Table is one of the few fiercely independent book sellers left. It is run by the caped duo of Jason Smith and Rachel Weaver. I especially love them because I can order any book I want in privacy. This is the first individual we have ever listed. Believe it or not, you are looking at Chicago lands best "unknown" vocalist, and one of the best period. 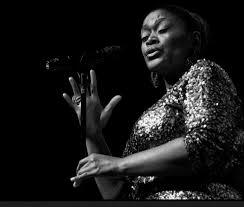 She has appeared in venues from the North Shore to Chicago's DuSable Museum. 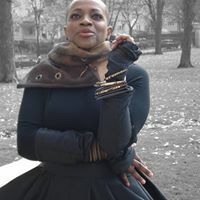 She has been singing jazz and R&B proffesionally since she was a teenager. If you are looking for live music, absolutely look no further. ​At last, an Apple reseller store store between Michigan Ave. and Oak Brook. 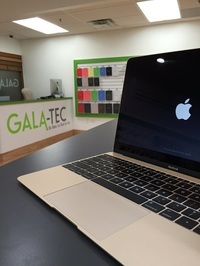 Located in Oak Park, IL it sells you the same products but with extended repair services that even include PC repair. Its family run and friendly. I love the fact that the owner Alan Dworkin was responsible for the cable installation for Celebration, Fla. (look it up) and also hosted a show there. The people at Gala-Tec really know their stuff. This is the most socially conscious coffee house that I have ever been in. There is a reason for that feeling because thats exactly what the owners intended. When you go in everyone seems to be grouped in small clusters with their laptops open, chatting away. This is a strong social anchor in the Oak Park area. They have several developmental efforts that emanate from their cafe. Not only that, they serve great coffee and food. Get on in here and bring the kids. Serenitea is an American / European teahouse that serves three tier afternoon tea. Enjoy life like a Duchess or a Duke. Raise your pinky. A wide variety of tea, scones and clotted cream is served. This is a local community radio show that services the interests of the Village of Oak Park. She interviews many of the business and arts people in the area. While this show is local, it is an example of how interesting and eye opening these topics are to the community where you live. This is the Oak Park areas independent newspaper for news, business info, social events and sports. Fine tea and its accessories from around the world. The smell of the shop alone is worth the trip. Sample and sniff to satisfaction. A Chicago style hot dog stand with a mission. Felony Franks hires ex-cons at a more than a minimum wage salary. They also have all of the Chicago hot dog stand staples such as fries, shakes, Polish sausage etc. The Buzz Cafe is part organic cafe, art gallery community center, live music venue and much more. it is "the" lunch spot in the Oak Park Arts District. Come to the neighborhood and stay awhile. The only record shop with an Elvis shrine. They also have a small stage where local groups release their new CDs. Come on in, find or order that hard to find piece of music you've been looking for. This is THE bookstore for history and mystery books. The atmosphere is warm and friendly with oak bookcases labeled with the historical era or subject matter of the books on the shelves. The authors who write the books can frequently be found here. This is a one-stop shop with and incredible bulk section, coffee & juice bar, & the best produce in town. Anyone can shop here but members receive discounts & perks. 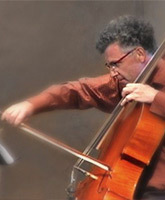 ​Professional musicians playing classical music outside of traditional venues. The first "Church" was in an abandoned garage on route 66 just outside of Albuquerque NM. They now meet locally in a small intimate theatre in the Oak Park, IL arts district. Go there and be amazed.